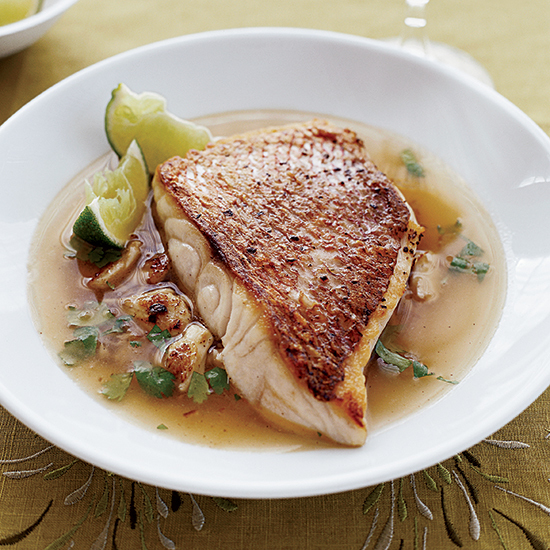 The ultimate recipes for seafood lovers. 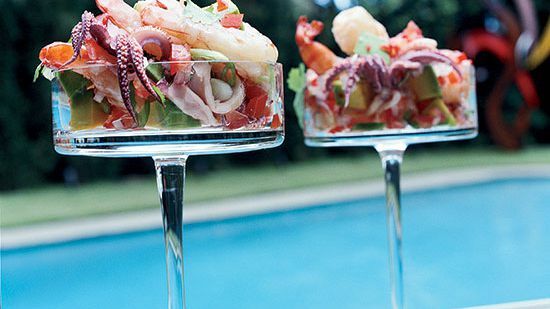 We love a good surf and turf platter, which brings together land and sea in delicious harmony. But here's another concept that's worth getting to know: surf and surf. 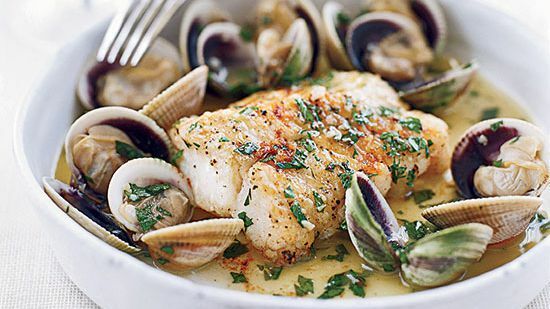 From cod and clams to snapper and crab, here are the best seafood-on-seafood recipes to try. 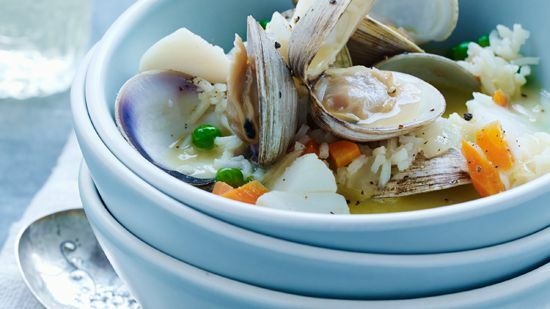 A lemony sauce coats rice, clams, and cod in this delicious version of a traditional Greek favorite. 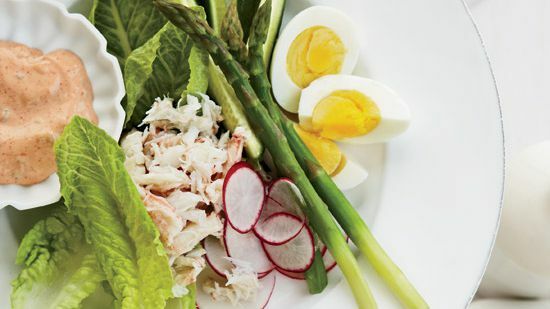 The Spanish name for this seafood salad is vuelva a la vida, which means "return to life." The reason: This cold, refreshing, vitamin-C-rich starter is a reputed hangover cure. 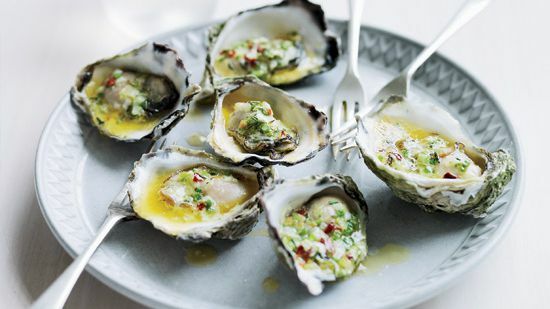 “Scallops and oysters are a perfect briny, oceanic tandem, and this recipe marries them perfectly,” says Andrew Zimmern. 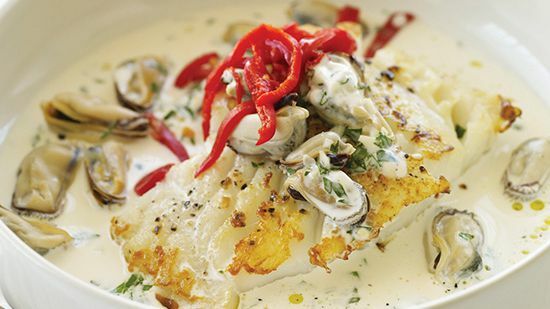 Flaky cod and tiny, buttery cockles are delicious together in this saucy dish. 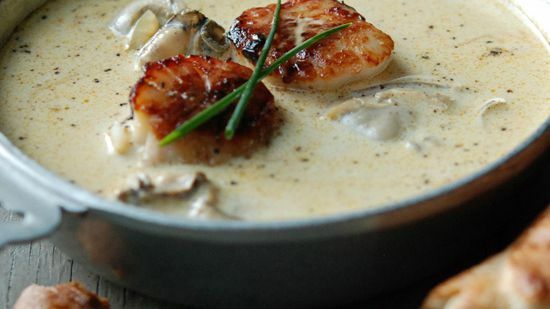 Here’s the perfect dinner party dish that will wow anyone. 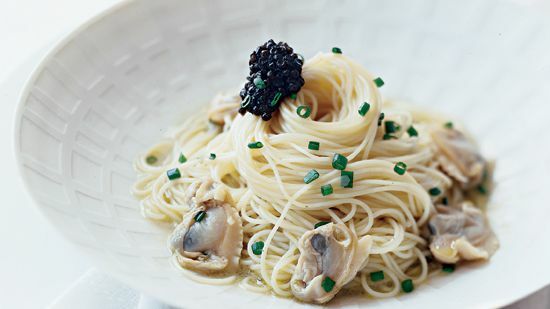 This elegant pasta is topped with garlicky clams and caviar. Eric Ripert’s simple but sophisticated dish relies on store-bought mayonnaise to enrich the sublime sauce.